Learn manual QA first, then move to QA automation. NOT another way around. Question: Do I need to learn QA automation to get my first QA job? Let’s think like a hiring manager and compare requirements for manual QA and QA automator. QA experience and domain knowledge are always a plus, but if it’s a good person to work with and he understand QA, then in my book it’s enough to be hired. It’s completely different situation in case of hiring QA automation engineer. It takes years of programming and QA automation experience before person can not only write clean usable code, but also know WHAT to automate and WHAT NOT to automate. In most cases, unexperienced QA automator will cause a MESS simply because proper programming and proper QA automation takes MANY years to master. That’s why I ONLY hire QA automators if they have years of relevant experience. 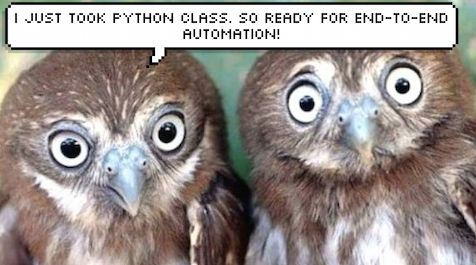 “But what if I want to do QA automation?” The answer is here.